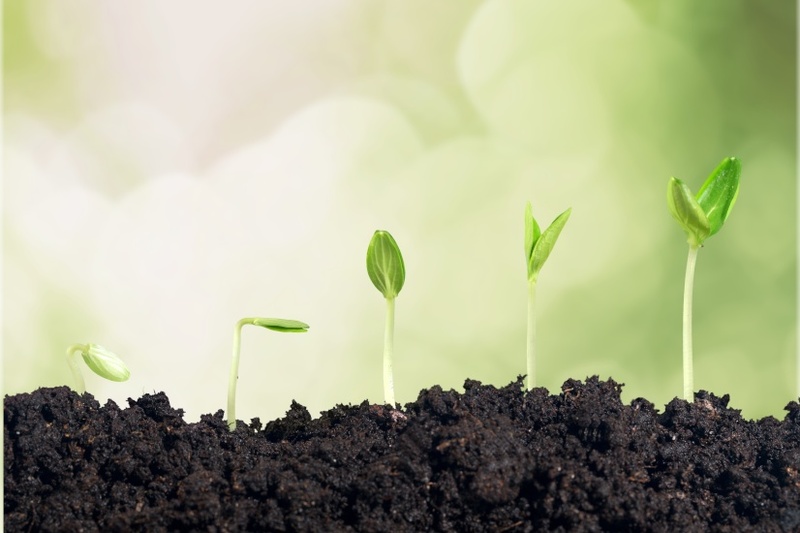 Despite the start of spring being only a day away, overnight headlines sent a cold chill through risk assets overnight,with emerging markets and trade tensions again back in focus. The Argentinian Central Bank raised its benchmark rate to 60% with the Argentinian Peso falling by roughly 12%. In Turkey, the news that the Central Banks Deputy Governor was set to resign, saw USDTRY close the session back above 6.6500. USDTRY is now within one bad headline/tweet away from retesting the highs above 7.20 that is traded to during the height of the Turkish Lira crisis just a few weeks ago. Also rattling markets was the news that President Trump would like to push ahead with the implementation of tariffs on U.S. $200bn of Chinese exports as soon as the public comment period concludes next week, September the 6th. In the past, it has taken a couple of weeks from the end of the public comment date for tariffs to be implemented. Based on media reports the time line has been moved forward and keep in mind that President Trump announced recently the rate on this tranche of tariffs would be increased from 10% to 25%. In terms of framing trades right now, fluctuating risk sentiment in the short term remains a key driver of both equity and FX markets. The better risk sentiment following Federal Chair Powell’s speech at the Jackson Hole Symposium and the signing of the U.S. – Mexico Trade Agreement were the twin catalysts that propelled the S&P 500 to new record highs. Expectations are for further headline driven moves during September. Coming in the shape of more tariff headlines, a possible U.S.Government shutdown, the FOMC meeting on the 26th of September as well as the release of the Italian draft budget and ongoing Brexit negotiations. That said, it has been impossible to ignore the irrepressible grind higher in the S&P 500 as it has continued to climb a wall of worry, since its February low point. The acceleration that followed the break of the January high at 2878.50 brings a new dynamic to the chart. In Elliott wave terms it confirms the S&P 500 entered a Wave V to the upside. 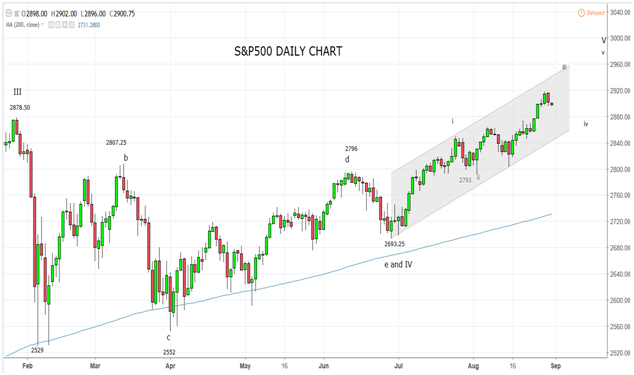 While a pullback in the short term is possible to consolidate recent gains, buyers should emerge towards the 2875/55 support area which comes from the previous all-time high and trend channel support. Upside targets include 2950 which comes from the uptrend channel projection and then beyond there is the big psychological round number target sitting at 3000. As the current rally is viewed as a Wave V and therefore the final leg of the rally, it is important to keep in mind firm reassessment levels. I would become cautious on a daily close below trend channel support in the 2750 area, turning bearish on a daily close below the key 2790 support.